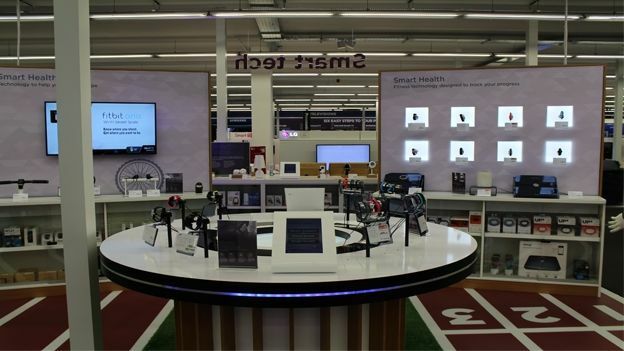 Currys & PC World today opened their SMART zones, bringing together the best in smart home and life tech. Two UK massive tech retailers have brought together the best in smart tech in one central zone on the shopfloor, making it basically a one-stop-shop for your house and life tech needs. The smart zones encompass health tech, smart watches, smart home devices and fun gadgets, so there really is something for everyone. Katie Bickerstaffe, Dixons Retail UK and Ireland CEO, said: "The future is here, right now, and it's connected. Our new SMART Tech offering aims to create a fresh and inspiring in-store experience for customers that showcase major advancements in connected cosumer technology." The smart health section includes the Withings health monitor and weighing scales as well as the Fitbit scales and Fitbit Flex. Smart watches feature the Jawbone, Garmin Vivofit and Samsung models side by side, making comparison easy when you're shopping. A range of products feature in the smart home section, including the Netgear Vue Zone, a CCTV camera that easily sticks on any wall and connects to your device via Wi-Fi, so you can watch who's coming and going while you're away, or even make sure the dog's ok when you leave him home alone. The home section also includes Heatmiser, a smart heating system that connects to your device and controls your under-floor heating, thermostat and radiators from the dedicated app. What's more, the Currys and PC World KnowHow team will install the device for you, so no more worrying about getting home and finding yourself lost. Which happens to the best of us. Finally, the smart gadgets section is all about fun, and it features the Parrot Drone and Sphero, a tough little robotic ball controllable with your device via Bluetooth. It pairs with over 30 apps, so you can make racecourses, construct games, or just whizz it around the room for fun. The Smart Zone is launching in five of the biggest PC World and Currys stores - Thurrock; Staples Corner; Cribbs Causeway, Bristol; Stockton; and J9 in Birmingham). So, now you have an excuse to leave Amazon and step out of your house to do your tech shopping.